A chance for Yasir to show he is still Pakistan's best spinner. 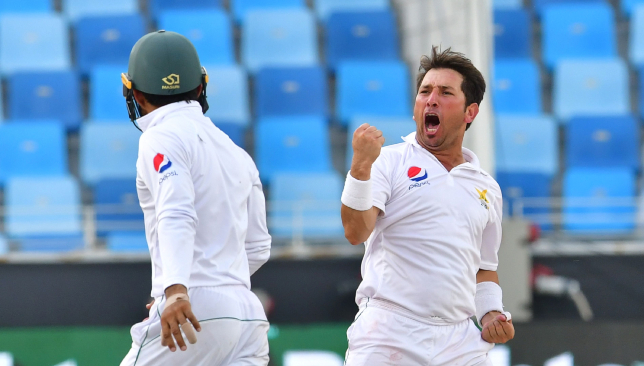 As red-ball cricket returns to the agenda once again, the spotlight will firmly be on leg-spinner Yasir Shah when Pakistan takes to the field against New Zealand in Abu Dhabi for the first Test of the three-match series on Friday. Having just made his return from an injury setback, the senior slow bowler was uncharacteristically subdued in Pakistan’s hard-fought 1-0 Test series win over Australia last month. Usually a prolific customer on the slower surfaces of the UAE, Yasir was clearly not at his best in the two-match series which fetched the 32-year-old a total of seven wickets at an average of over 34. The leg-spinner was overshadowed by debutant Bilal Asif who picked up a combined nine wickets in the series at almost half the average of Yasir. Yasir’s struggles were evident during Australia’s first innings of the opening Test at Dubai where he went wicketless despite sending down a total of 28 overs, the most by any Pakistan bowler in the match. It was the first time in his career that he had failed to pick up a single wicket in an innings of a Test held in the UAE. He did pick up four wickets in the second innings but that was after he had bowled nearly 44 overs. Led by a terrific ton from Usman Khawaja, the Aussies pulled off a remarkable draw on the final day of the Test as Pakistan’s desperate push for a victory was thwarted. 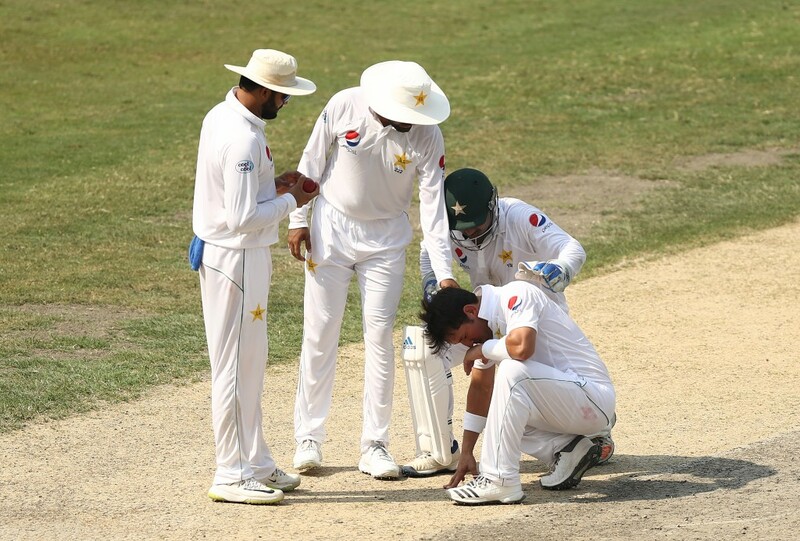 For four days, Yasir had gone without a scalp in Dubai and skipper Sarfraz Ahmed was forced to defend the spinner’s performance. Yasir struggled massively in Dubai. “Yasir Shah is playing Test cricket after a year. So, I think we should give some margin to him. This was his first match after a long time. Yes, he has practised and played domestic cricket. But, Test cricket is a different ball game altogether. We should give him a chance. He is our main bowler. We should not write him off just yet. He has put up performances for Pakistan in the past,” Sarfraz said. However, there wouldn’t be any dramatic turnaround in Yasir’s fortunes come the second Test at Abu Dhabi. In the first innings, he picked up the sole wicket in the form of Mitchell Marsh from his 19 overs. In comparison, Asif picked up three wickets from half as many overs. 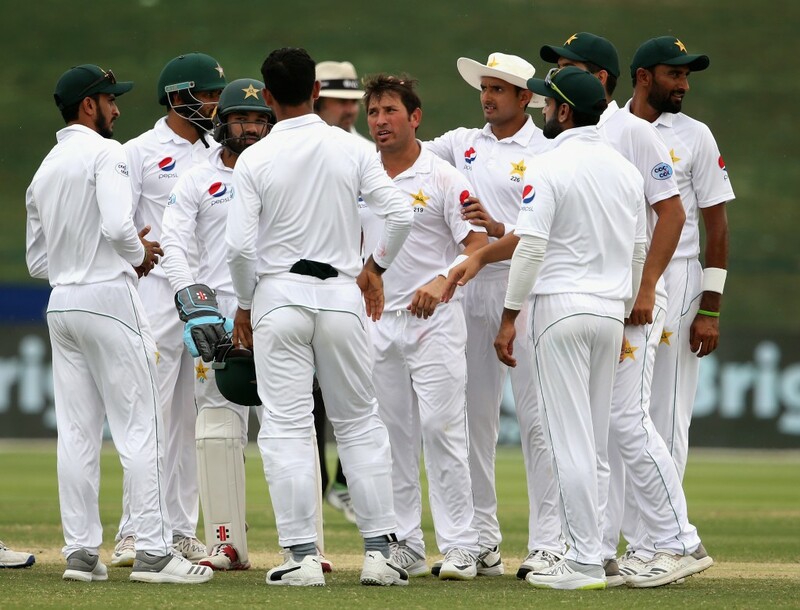 Once again, Yasir performed better at the second go with figures of 3-45 but it was seamer Mohammad Abbas who did the bulk of the damage with his second five-wicket haul of the match leading Pakistan to a comprehensive victory. Yasir’s track-record in the UAE speaks for itself. In the 14 matches that he has played in the country, the 32-year-old has picked up a total of 79 wickets at an average of nearly 26. Yasir has excelled previously in the UAE. Before the emergence of Abbas, it was Yasir who was the leader of the Pakistan attack in the UAE. While Abbas may be setting the trend now with his wicket-taking exploits, it is Yasir who remains the fastest Pakistan bowler to 50 Test wickets. Now, with the Kiwi challenge lying ahead for Sarfraz and his men, Yasir needs to retake his mantle as Pakistan’s leading man for the job in UAE. He has done it several times in the past and there is no doubt he possesses the ability to do it again. Spin will remain highly crucial to Pakistan’s chances against New Zealand and Yasir will need to rediscover his best now that sufficient time has lapsed since his hip-bone injury setback. 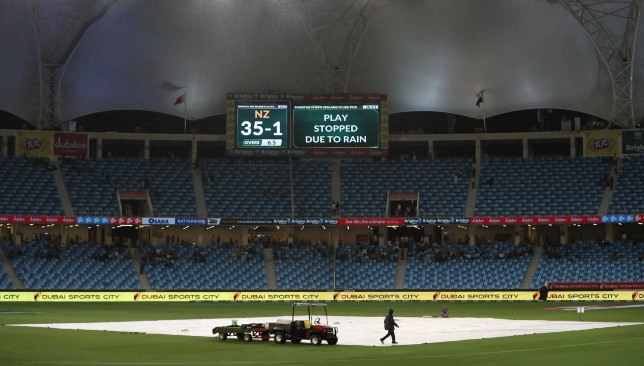 Rain has interrupted proceedings in the ODI decider. After ending their 11-game ODI hoodoo against New Zealand last time out, Pakistan now have the rare chance to win a 50-over series against top level competition outright. Haris Sohail and Asif Ali replace Imam-ul-Haq – who took a nasty blow to the head in the second ODI – and Imad Wasim. There was also big news from the New Zealand camp as skipper Kane Williamson has reportedly picked up a groin strain. 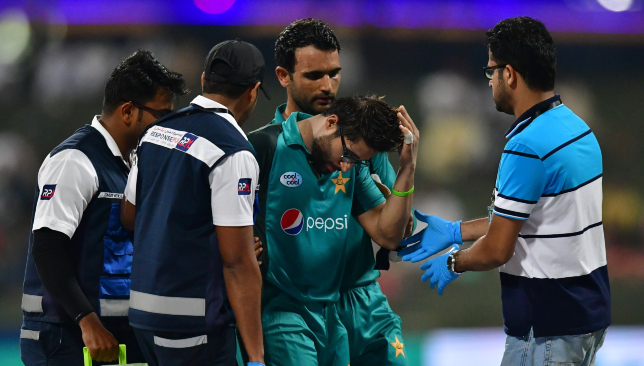 The joy which came with Pakistan’s win against New Zealand in the second ODI was overshadowed by what looked like a terrible injury to opener Imam-ul-Haq. Lockie Ferguson’s bouncer caught the left-hander on the grille of his helmet and he was forced to the hospital immediately. Pakistan’s team management first said that the 22-year-old would undergo CT scans and his condition would be monitored for 48 hours. Fortunately, the Pakistan Cricket Board (PCB) later released a statement on the injury providing good news. Meanwhile, Pakistan ended a 12-match losing streak in one-day internationals against the Black Caps. The final ODI match of the series will be played in Dubai on Sunday.